Pre-drawn UML diagram symbols and shapes that are ready to use for making efficient and good-looking UML diagrams. 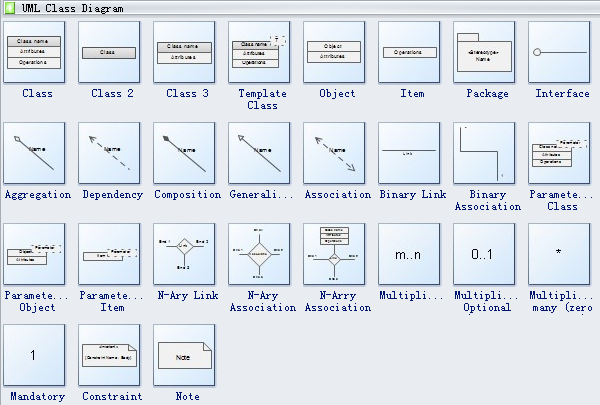 Offer complete set of vector UML symbols. Edraw has included separate libraries for different UML diagram types so you can draw any UML diagram without cluttering the drawing interface. Whenever you start a new type of UML diagram, the required symbols will be shown automatically on the left of canvas. The symbols are highly editable, so that you can resize, rotate or recolor the symbols as you like. 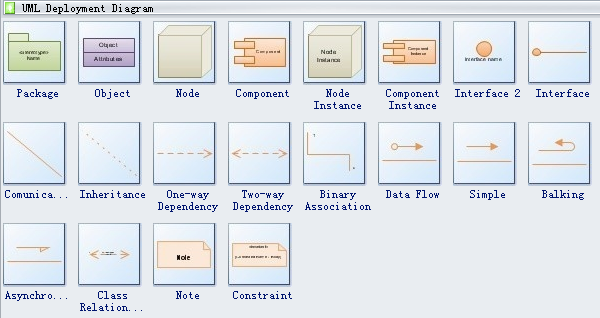 Offer a set of uml activity diagram symbols such as activity, state, object in state, decision activity, control flow, object flow, horizontal synchronization bar, vertical synchronization bar, and more. Provide UML deployment diagram symbols like package, object, node, component, node instance, component instance, interface, inheritance,etc. You can find UML class diagram symbols like class, template class, object, item, package, interface, dependency, composition, association and more. 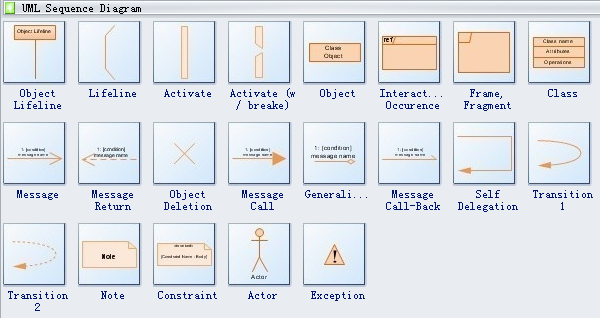 UML collaboration diagram symbols like object, multi-object, association role, delegation, link to self, constraint and note are available. UML statechart symbols like state, submachine state, start state, end state, transition and more are available. UML use case diagram symbols like actor, use case, package, object, system boundary, interface, constraint, note and more are available. The shapes are pre-drawn and built-in the software so that users just need to drag and drop to use them. You can customize the shape's size and color according to your own requirements. Need fresh looking UML diagram symbols for your design? These UML activity diagram symbols are a cinch to pop in. And their crisp, fine detail will make spectacular, easy-to-understand diagrams and presentations to your customers.